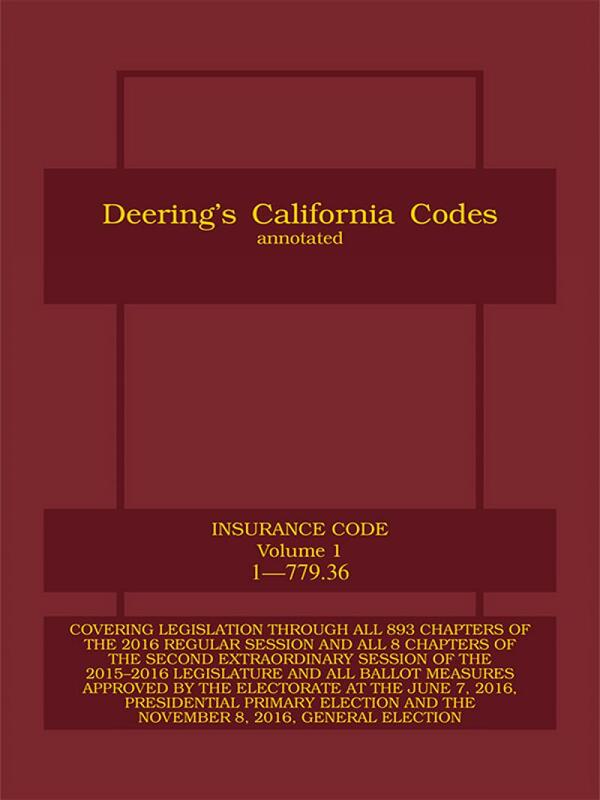 Now, statutory research has never been more convenient with Deering's Annotated Code Sets: Deering's California Insurance Code. 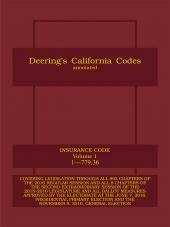 These six volumes offer expert coverage on all California state laws on the business of insurance. For over 130 years, legal practitioners and businessperson have relied on Deering's Annotated California Codes for fast, accurate statutory research. 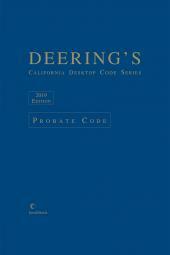 Deering's is the trusted source, with commentary and annotations prepared by California attorneys who understand California law. 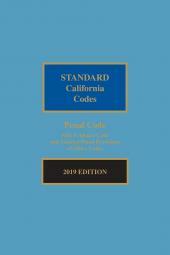 These six volumes offer expert coverage on all California state laws on the business of insurance, including those describing the various classes of insurance, code provisions governing the office of the state insurance commissioner, and laws pertaining to insurance adjusters. These handy volumes also include all newly enacted statutory text with revised sections on production agencies, insurance contracts, and responsibilities of the insurance commissioner, liability, worker's compensation, and common carrier liability insurance. With Deering's timely, comprehensive update service, you can keep your research current. You'll receive Annual Cumulative Pocket Part Supplements which inform you before new laws become effective.